Independent Life Resources A "World of Resources" for persons with disAbilities, Senior Citizens, and Those Who Care! Categorized easy-to-use directory, articles, news, care-provider and special education training materials, and consulting services. Assistance available for those who need individualized support to manage personal needs, education, or care. Independent Living Aids, Inc. is the oldest mail-order provider of aids for the visually impaired and blind in the U.S.A. Its web site features the most useful products available for individuals who want to remain independent and active. Included are such items as signature guides, large print address books, a large selection of magnifiers and lamps with magnifiers, talking watches, clocks and even thermostats. For computer users, we have magnifying and speaking software and helpful keyboard accessories. If you have a vision problem, you will find aids for every aspect your life. The Source for Seniors - your comprehensive guide to senior housing and care, listing all state licensed senior communities and home health care and hospice care agencies nationwide. View online tours of senior living communities or receive a free nursing home directory including assisted living and retirement communities. Safety Bath offers a safe and easily accessible walk-in bathtub, featuring a wide outward-swing door and a low-entry step. Safety Bath comes equipped with whirlpool jets, molded seat, scald free taps and hand-held shower. Seniors Resource Guide A website for seniors, caregivers, children of seniors, social workers, discharge planners, and anyone who serves the needs of people 65+. 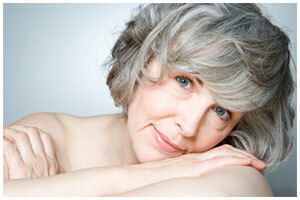 Today's Senior Magazine is for the mature adult who enjoys life. An individual who has a fondness for the past but looks forward to the challenges of the future. WhereToLiveAfter50 Features living choices for seniors in the USA and abroad - retirement communities, senior friendly housing, assisted living, new & resale homes, condos, patio homes, manufactured homes, and more.